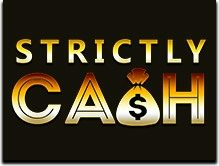 Siz .. qila olasiz; siz ... mumkin register for free at Strictly Cash Casino and win a great 100% welcome bonus up to £/$/€200. Hurry up register now! there are many other whopping promotional offers such as game of the day, game of the day, spin the slots and many others that will keep you going.